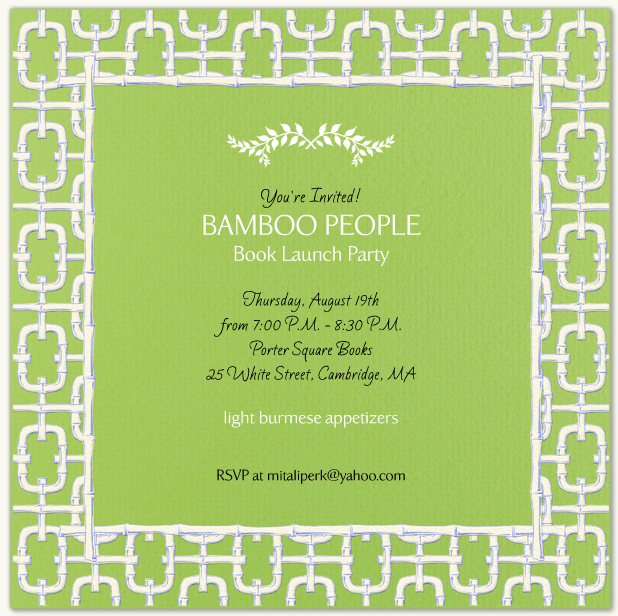 Taking a two-week break from blogging to visit my parents, so I'll leave you with this invitation to come to my book launch party for Bamboo People on August 19, 2010 at 7:00 p.m., Porter Square Books, Cambridge, Ma. 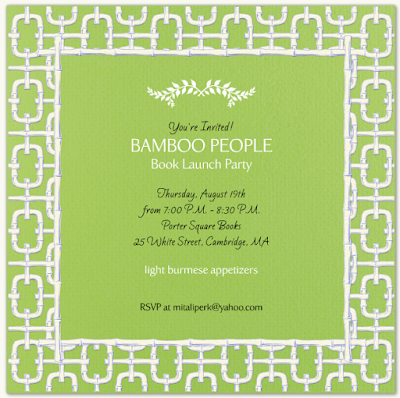 Bring friends to enjoy the Burmese appetizers; everybody's welcome! RSVP here or by email.